This release note describes the new major build for Appspace App v1.28. Includes improvements to the Chrome watchdog service. Support for clearing local storage of card content on devices. Supports clearing of cards from a device’s local storage, after the card is deleted, freeing up valuable storage on the device. Chrome watchdog service has been improved into a standalone service that will run every 30 seconds, regardless of its connection status with Appspace. The watchdog service works directly with Chrome APIs to ensure that a device reboot can occur if needed. AE-3823 - Appspace App for Chrome OS crashes on notebooks in non-kiosk environments. AE-3825 - Some RSS feeds in a sign are not displayed on Chromebox and BrightSign devices. AE-3832 - Incorrect device IP addresses are displayed in Networks, for Chrome OS devices. 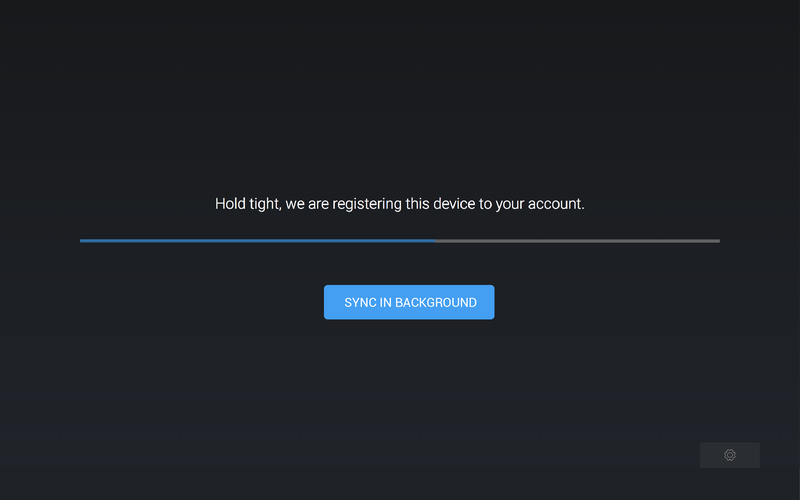 Chrome OS devices that have been recently updated to version 62 experience no display/video output via HDMI. This is due to a HDMI bug that exists in Chrome OS 62. If you have devices updated to Chrome OS 62 which have not been impacted, do not reboot the device. If you have a CMS which auto reboots the device overnight, please disable the auto reboot. While this is not yet proven, early indications have shown that a reboot triggers the failure. If you have devices updated to Chrome OS 62, perform a manual downgrade to Chrome OS 61 using a USB recovery image. For help, please refer to your device manufacturer. 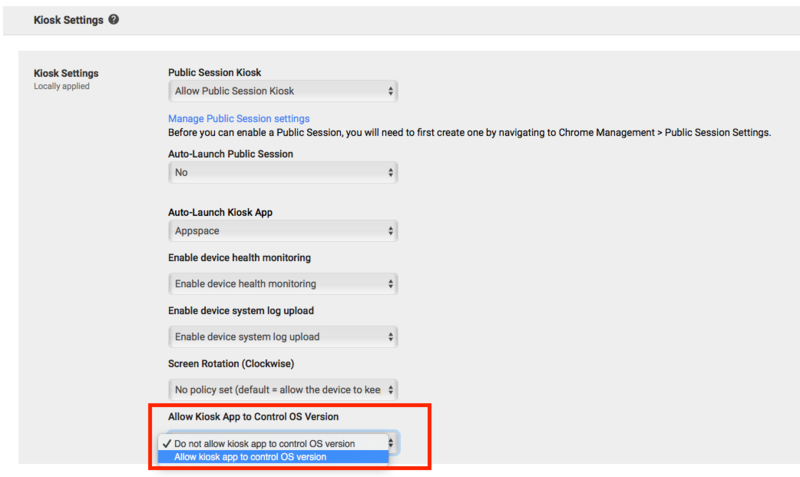 Follow the instructions in the Manage Chrome device settings article: https://support.google.com/chrome/a/answer/1375678?hl=en. To disable auto-updates, navigate to Device Update Settings, and select ‘Stop auto-updates’ in the Auto Update drop-down menu. 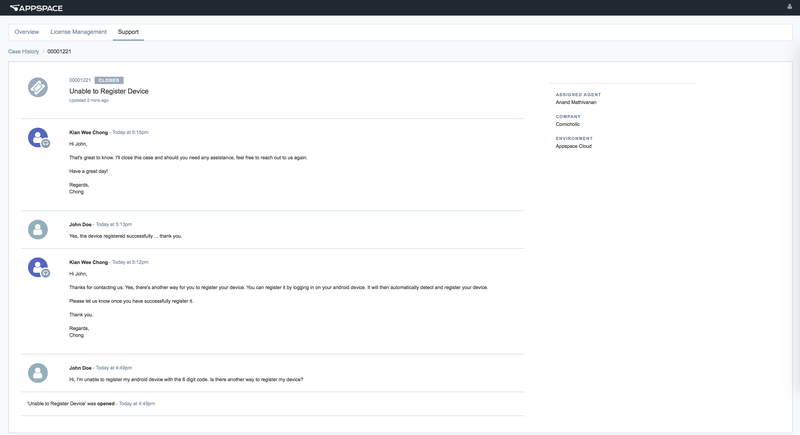 To allow Appspace App to control the OS version, navigate to Kiosk Settings, and select ‘Allow kiosk app to control OS version’ from the Allow Kiosk App to Control OS Version drop-down menu. Confirm and verify the Please verify Kiosk App manifest file dialog box. Do not update to Chrome OS 62.